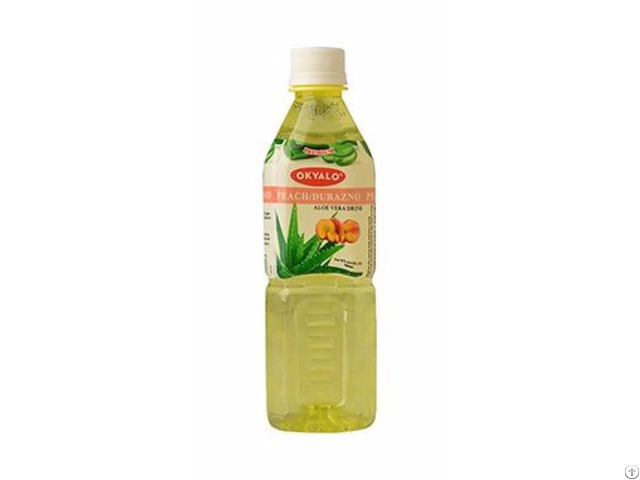 With low calories and enjoyable taste, OKYALO aloe vera drink with peach flavor are very popular, It is Made of fresh aloe vera pulps and gel, No any powder, No Preservatives, no GMO, no artificial flavor and no artifical coloring. It conbine the best peach flavor with aloe vera, What’s more, it only contain 5g sugar/100ml, keep your body fit and healthy. NOTICE: We are peach aloe vera juice drink manufacturer and looking for distributors for the whole world market.